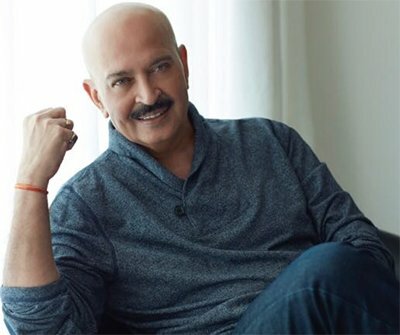 Mumbai(PTI) His acting career was not as impressive as his second innings as a director-producer but Rakesh Roshan says he never stopped trying and would often call people to ask for work when he was struggling. The year 2017 marks the golden jubilee for Roshan in the Hindi film industry and the actor-filmmaker believes that despite the initial struggle God had better plans for him. Born to noted music director Roshanlal Nagrath, Roshan worked as an assistant director for four years before making his acting debut in 1970 with “Ghar Ghar Ki Kahani”. In an interview with PTI, he says, “As an actor, I was not that successful but I kept trying. I never moved ahead in my career despite some of my movies doing well. So I started producing films and then moved to direction. Roshan got solo hero roles but mostly in women-centric films like “Paraya Dhan” with Hema Malini, “Aankh Micholi” with Bharati and “Khubsoorat” opposite Rekha. He played supporting roles in films with superstar Rajesh Khanna, Sanjeev Kumar and others. But his acting career took a dip between 1973 and 1990, when his films did not do well at the box office. The 67-year-old producer says he did not fall under the bracket of “top stars” for whom filmmakers would queue up but that did not deter him from trying. He reveals that there were only two filmmakers who wanted to work with him, while some of the popular actresses of his time were not keen to feature in a movie with him. “The only two phone calls I got was from Hrishikesh Mukherjee and Basu Chatterjee, they wanted to meet me (for work). “When I went to meet Hrishida he said, ‘I am starting a film and Rekha is in it’. I told him, ‘ask her if she is ready to work with me’ as I was not that successful an actor. He said, ‘she is okay with it’. So I am thankful to Rekha that she agreed to work with me,” recalls Roshan. But the producer has no bitterness towards those who did not want to work with him. Roshan set up his own production company Filmkraft in 1980. Its first production “Aap Ke Deewane” proved to be a box office dud, however, the next venture “Kaamchor” was a hit. He moved to direction with “Khudgarz” in 1987 and went on to direct hits such as “Khoon Bhari Maang”, “Kishen Kanhaiya”, “Karan Arjun” and “Koyla”. Pyaar Hai”, “Koi… Mil Gaya” and the “Krrish” series turned out to be big box-office successes.